Visilite is an excellent choice for a wide scope of clear vinyl demands. The flexible material works well in marine windows, patio enclosures, tent sidewalls, and anywhere else a clear division is needed. Visilite clear vinyl provides premium protection and visual clarity. 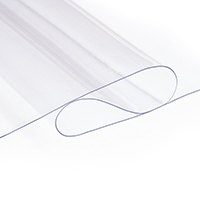 Designed to withstand the challenges of outdoor conditions, these clear vinyl rolls can be used on land or at sea. Choose from a selection of gauges, widths, lengths, and colors below. Each style features functional traits aimed at making your job easier, including double-polished and interleaved rolls. This makes them easier to fabricate and work with. 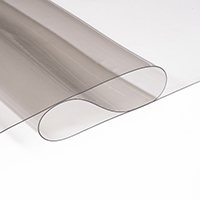 Among the choices is Visilite FR, a fire-retardant clear vinyl which passes the NFPA-701 Test Method 2. This makes the clear vinyl great for commercial patio enclosures and tent windows. Visilite is offered exclusively from Trivantage®. Find detailed product information below. For routine maintenance, we recommend using a specially formulated clear vinyl cleaner.